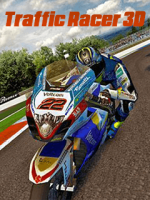 Traffic Racer 3D is an awesome combination of action, bikes and challenges! Ride into the city streets, perform awesome stunts and ride at the lightening speed! Be fast, be furious!